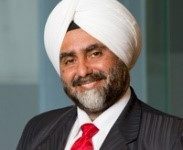 The success of the fifth India New Zealand Business Council (INZBC) annual summit in Auckland has highlighted the strong will among both nations to take their trade and investment relationship up several notches, riding on India’s fast growing economy. Themed on Aviation, Tourism and Technology, the one-day summit heard substantively from some of the most successful business people and policy influencers in these sectors both from India and New Zealand and from New Zealand’s Members of Parliament across the main political parties. In a video message from New Delhi, Suresh Prabhu, India’s Minister for Commerce, Industry and Civil Aviation, welcomed the summit and invited New Zealand businesses to join India’s unfolding growth story tipped to go from $5 trillion to $10 trillion in the next 15 years.​While trade agreements were touched upon, presenters were emphatic and unanimous in their opinion that strengthening better air links – especially direct flights – between the two countries was key to not only boosting tourism numbers but also growing the education sector, trade and investment exponentially. “Growth in Indian tourist numbers into New Zealand has been encouraging over the past few years but the potential was great,” said Suresh Nair, General Manager, Air Asia—India. 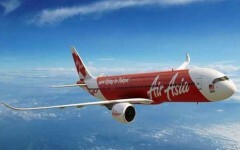 “Air Asia had developed expertise in creating and marketing new tourist destinations with robust and frequent air links in Asia and India, working with the hospitality industry. New Zealand could similarly tailor its own destinations to suit preferences of the growing and increasingly mobile Indian tourist industry,” he said.